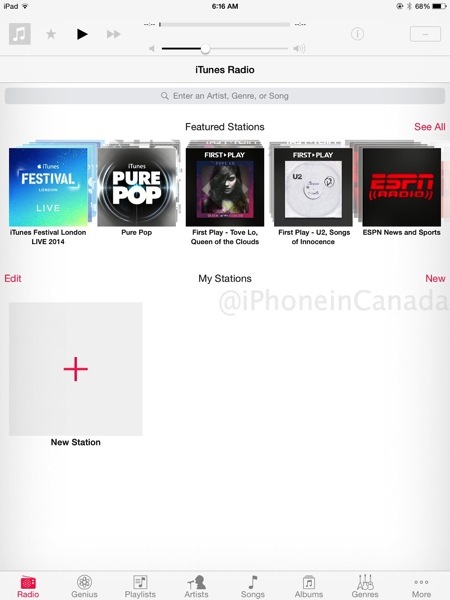 iTunes Radio has appeared in Canada this morning on some iOS devices, as shared by iPhoneinCanada.ca readers Vince and Anthony, which saw the streaming music service appear on their iPads at around 6:20AM EDT. Almost a year ago, Bloomberg reported Apple was set to expand its iTunes Radio service to Canada in “early 2014”, but that never materialized. The company did have a job posting seeking a music programmer for the service posted online around the same time. 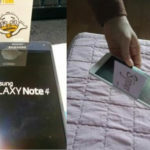 Canadian users have seen the service appear randomly throughout the year, but once the music app is force closed, the service disappears. A standalone iTunes Radio app was rumoured to appear in iOS 8, but that never happened. Some speculate the $3 billion acquisition of Beats Music may have put the rollout of iTunes Radio on the back burner. Former Beats Music CEO Ian Rogers is now running iTunes Radio, with the WSJ reporting he is said to help ‘create cohesion’ among teams at Apple and Beats for streaming music. Canadians with US iTunes accounts can already use iTunes Radio via this workaround. Anyone see iTunes Radio pop up on their iPhone, iPad, iPod touch or Mac today?